If Dexter is Dead, does that mean alliteration dies with him? The final instalment of delightfully dismembering Dexter sees the titular protagonist in prison for a crime he didn’t commit, which really means the cops aren’t trying very hard. His friends and colleagues – the ones that are still alive at least – have abandoned him, his sister Deb thinks he is getting a dose of karma, and Detective Andrews is doing his best to frame him. Good thing he has a brother. And Brian never causes problems in Dexter’s life. As a huge fan of the Dexter novels – the TV series: meh – I have been looking forward to reading the final Dexter adventure for some time. I’d like to say the anticipation set me up for disappointment, but I’m pretty sure it was the series running out of steam. 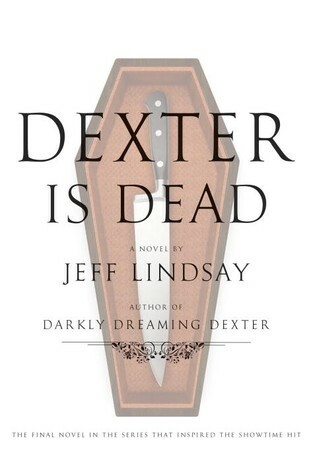 That isn’t to say that Dexter is Dead isn’t an entertaining read, more than it doesn’t hit the normal highs I’ve enjoyed from the earlier novels in the series. Which means that finishing the adventures of Dexter now (or a book or two ago) was probably a good idea. Dexter’s luck finally running out, hammering home some of the central points that many have missed previously (yes, Dexter isn’t smart), and finally (spoiler alert…. from the title) killing Dexter, was important for the series. I’d say this book is mainly for fans of the series who want closure. It is just a pity the end wasn’t a highpoint.